Danny Sexton appeared in just two major league professional basketball games, but during his ten year basketball career he played for over twenty-five AAU, independent and semi-professional teams in the New York Metropolitan area. Throughout most of the 1930’s, Sexton also played semi-professional football and baseball in and around New York. Sexton never became a professional athlete in the usual sense of the term, but for a decade he was paid to play on sport teams virtually year around. In the greater New York area during the 1930’s, there was a complicated maze of hundreds of organized basketball teams. Some were identified as professional, some as amateur, but the better players, such as Sexton, moved seamlessly back and forth. 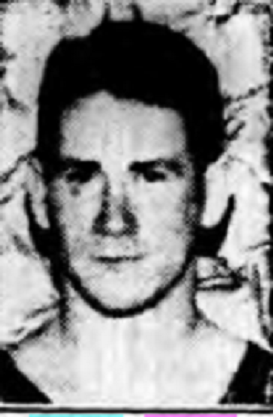 Midway through the 1936-37 season, Sexton was banned from playing with the Manhasset Red Birds, an amateur squad, but that was an unusual occurrence. During World War II, Sexton served as a an army military policeman. For much of the war, Sexton was the chief motorcycle officer for General Mark Clark. After the war, Sexton remained in law enforcement as a city policeman and a New York State Trooper.